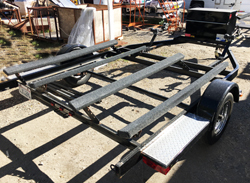 At Shadow Trailers, we buy, sell and trade used trailers. 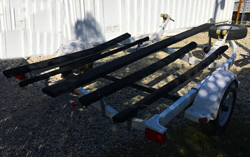 Used boat and PWC trailers come in weekly so check back with us if you don't find what you're looking for. If you have questions about any of the trailers shown below, please contact us Monday through Friday at (714) 995-4353 or send us an email. 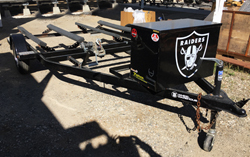 Tandem axle, retractable tie downs, and chrome wheels. Trailer is in excellent condition. Hover over image for a better look. 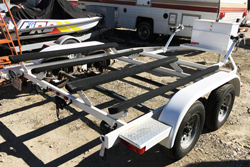 Includes, swing away tongue, custom wheels, retractable tie downs, spare tire, and boat guides. Will accommodate up to a 23' boat. Note: Price does not include state sales tax, DMV and transfer fees.